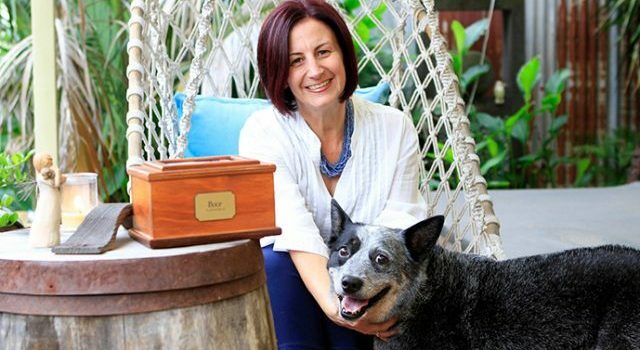 When I lost my 18 year old cattle dog, Lucy, even as a Grief Counselor myself, I needed someone to help me make sense of what I was thinking and feeling. My own grief put me on the path to help others in this area. I found there were not many Counseling services in this area that came with formal qualifications in training and it was imperative to me that I found a course that reflected and supported my own way of thinking concerning pet loss. One that empathises, takes it very seriously and also incorporates some level of spirituality. On this quest I finally managed to find The APLB (Assoc.of Pet Loss and Bereavement) who offered a course that mirrored my way of thinking and also had a strict and high standard of excellence. I am now one of only two Counselors in Australia that is certified in Pet Loss and Bereavement with APLB (Assoc. of Pet Loss and Bereavement) and am currently working in the APLB chat room as Assistant Host to the founder, Dr.Wallace Sife Ph.D. providing online counseling in this area. Dr.Wallace Sife Ph.D is also the author of “The Loss of a Pet” which is now in it’s 4th edition and has helped many people who have experienced the intense emotional roller coaster ride after loss a beloved companion animal. The other area I specialise in is Carer Fatigue which impacts not only the carer of incapacitated, aged and/ or terminally ill pets but also on the other end of the spectrum, professionals such as Vets & Veterinary staff, Doctors & Nurses, SES and emergency services personnel etc. After experiencing overwhelming grief with my own losses and the sometimes disconnect with family and friends that it can sometimes bring, that loneliness and feeling of overwhelming grief, my philosophy is believing that when you gain an understanding of what you are experiencing you can then move forward to find peace, resolution and healing…. I am here to help you on that journey….. I have always wanted to help people, and after many years in the corporate world chose the path to counselling. I have Bachelor and Master degrees in Counselling and Psychotherapy. I also have a private practice and work with a variety of issues ranging from Anxiety, Depression, Grief and Loss, Relationship issues, Stress, Domestic Violence and Drugs & Alcohol Abuse. In my lifetime, I have had several dogs and cats and understand the devastation one feels when your beloved friend passes. I know what an important part of the family they are and what a support they can be. As part of my practice at Here to Help Therapy, I offer face to face, telephone & Skype counselling.